Patients who experience physical or psychological stress – including rigorous exercise – one or two days before a cancer treatment might be unknowingly sabotaging their therapy, new research suggests. Stress in the body – even physical stress caused by intense exercise – activates a stress-sensitive protein that can spark a series of events that allow cancer cells to survive such treatments as chemotherapy and radiation, according to the research. “One of the known inducers of this factor is exercise. I am not against exercise, but the timing is critical. 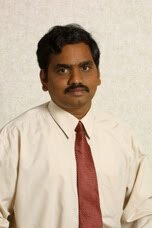 It looks like any intense or prolonged physical activity a couple of days before the start of cancer therapy is highly risky, and has potential to reduce the benefits of the treatment,” said Govindasamy Ilangovan, lead author of the study and associate professor of internal medicine at Ohio State. Ilangovan, an investigator in Ohio State’s Davis Heart and Lung Research Institute, specializes in cardiovascular medicine. But when he observed in previous research that this stress-inducible protein could salvage heart cells that otherwise were doomed to die, he collaborated with radiology specialists to test the protein’s effects in cancer. In every experiment, a heightened presence of the Hsp27 protein was associated with lower levels of other proteins that participate in the process of cell death. When the researchers introduced siRNA, a molecule that interferes with Hsp27’s function, the cell death mechanism was restored. “We clearly showed that a reduction in the level of the Hsp27 protein made the cancer cells more susceptible to both treatments,” Ilangovan said. This finding suggested to the scientists that a drug with the same effects as the interference molecule could stop Hsp27 from preventing cancer cell death. No such drug currently exists, and the siRNA molecule isn’t suitable for use in patients, Ilangovan said. Among the key reactions the researchers observed was Hsp27’s relationship to a protein called p21, which allows cells to pause, repair themselves and continue dividing, leading to their survival. Damage to the DNA in cancer cells should disable this step in cell division, but the research showed that the Hsp27 caused p21 to change positions in a way that allowed for cell survival. “It looks like a compensatory act. We are doing something to kill the cell, but cells have their own compensatory action to oppose that,” Ilangovan said.